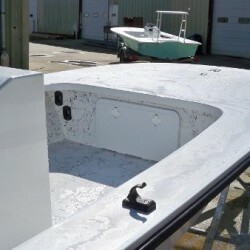 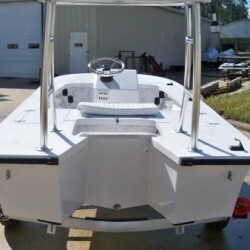 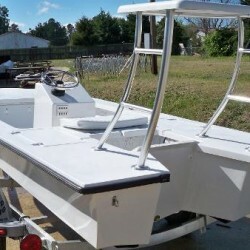 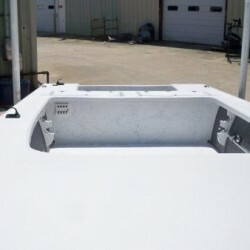 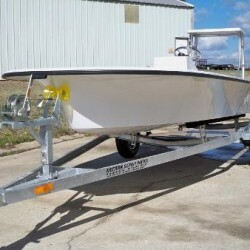 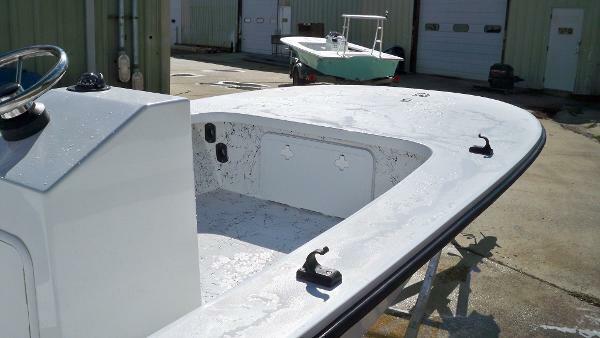 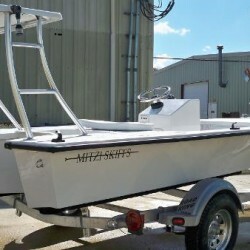 The Mitzi 16 is a sponson type boat hull in which the transom extends around the outboard as seen in the picture below. 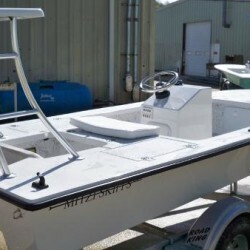 What’s this do for the flats fisherman? 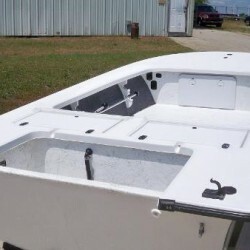 This configuration allows the boat to have a great hole shot where the transom of the boat does not want to dig down, allowing the boat to hop on plane in shallower water and quicker. 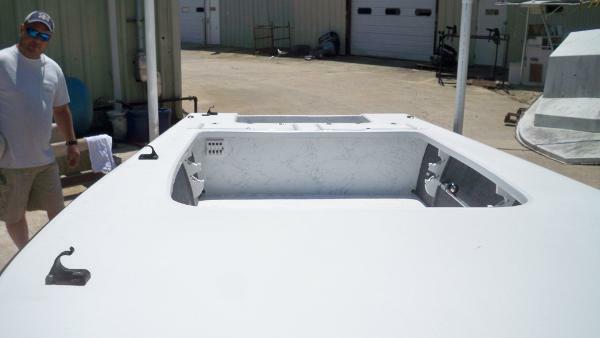 The sponsons also put buoyancy past the outboard to keep the draft shallower overall. 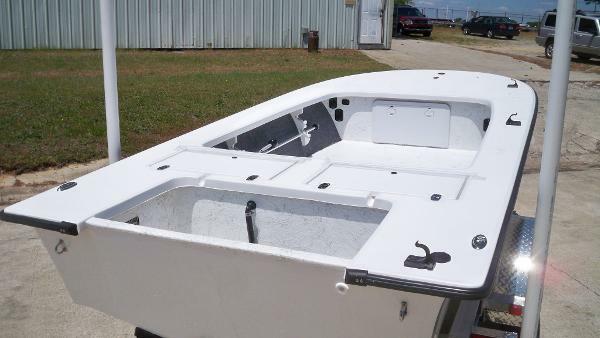 The 16’s have a huge amount of storage, in the 3 rear hatches and under the front deck. 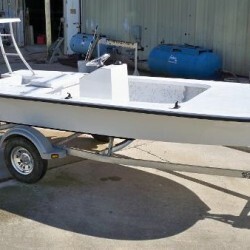 More than most skiffs of the size. 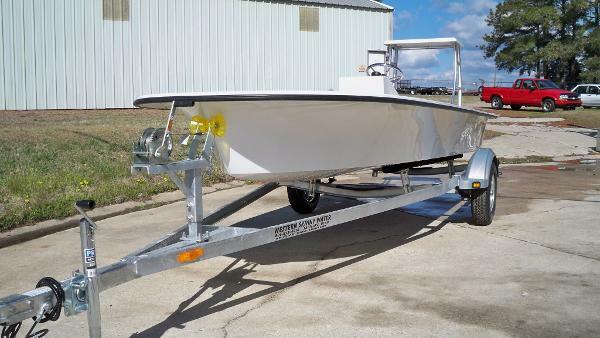 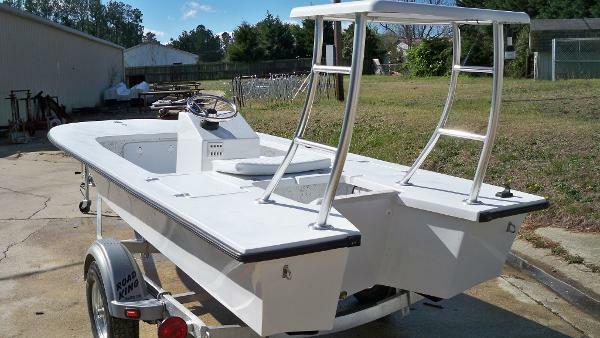 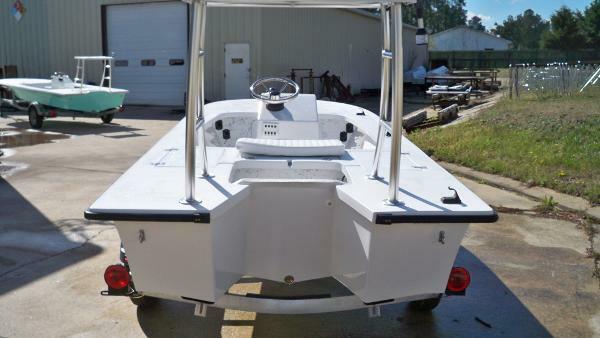 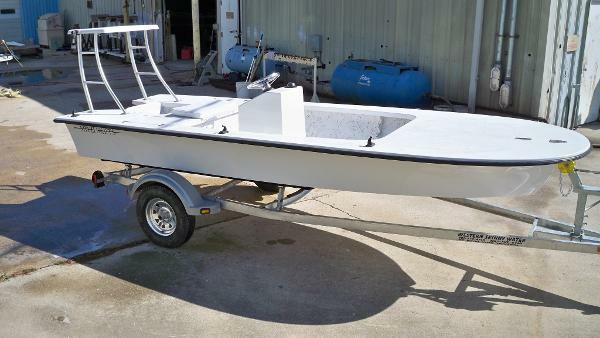 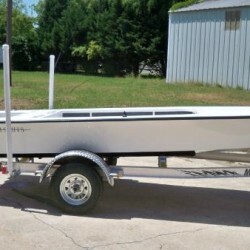 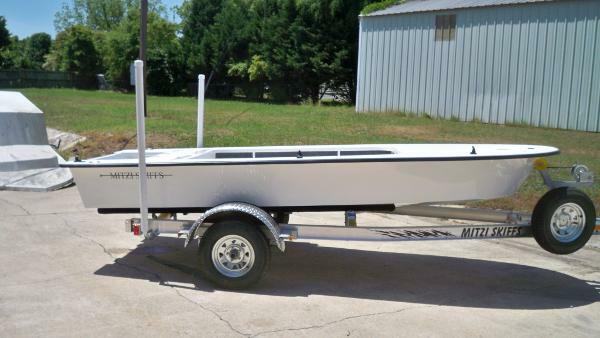 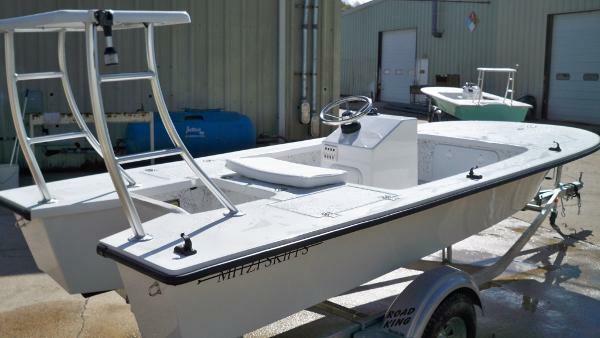 A large front casting deck makes this skiff the fly fishermans dream or the spin fisherman who likes a lot of room to work, and play fish. 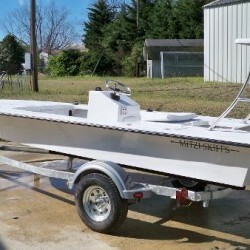 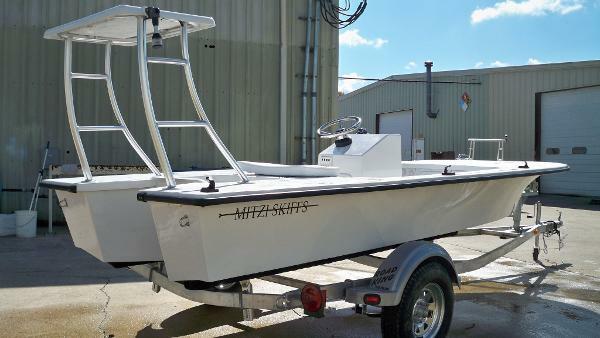 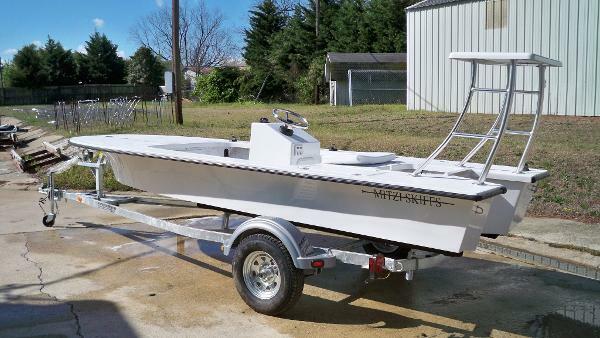 Go see your local dealer and test ride a Mitzi 16, the skiff you hoped was out there.